Today in vertigo-inducing architectural renderings: Copper Canyon Cocktail Bar, a restaurant dreamed up by Mexico-based design company Tall Arquitectos. 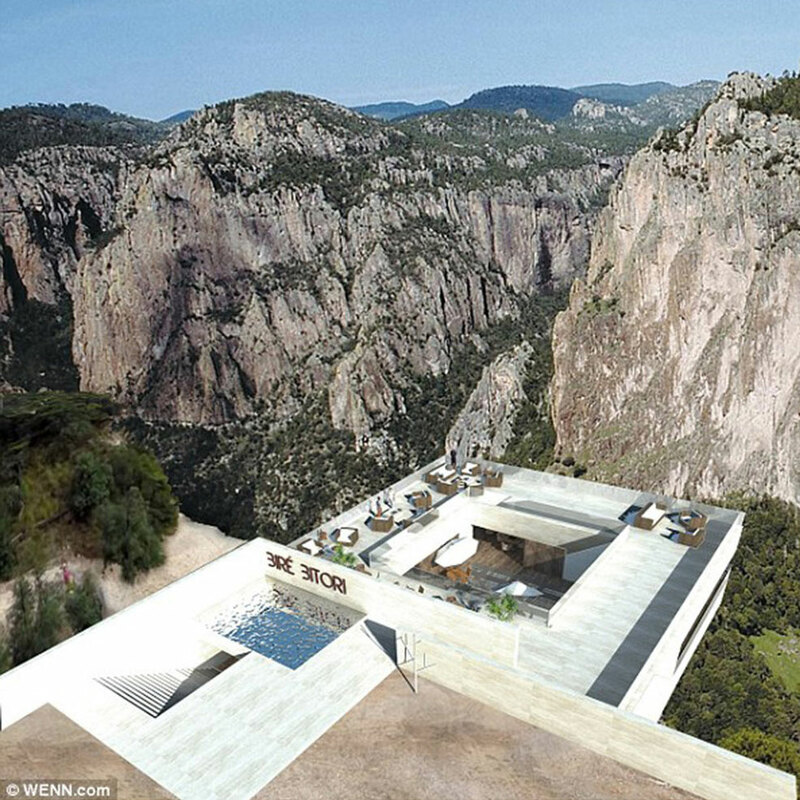 If built, The Copper Canyon will comprise two levels overlooking Basaseachic Falls, Mexico’s second-tallest waterfall. The first level would boast a bar and dining room where patrons could nosh at tables set right against the glass edge. Nothing to whet the appetite like a clear view of a shear drop to a river fall below, right? What’s more, the designers envision a portion of the restaurant floor to be made of glass. The upper level, meanwhile, will include an observation deck and swimming pool overlooking the canyon floor. The proposal is just one of many recent plans for eye-popping glass-bottom attractions. Los Angeles’ U.S Bank Tower is installing a fully enclosed glass slidealong the exterior of the building some 1,000 feet above the street, and transparent observation decks can be found at popular spots like the Grand Canyon, Willis Tower, and London's Tower Bridge.